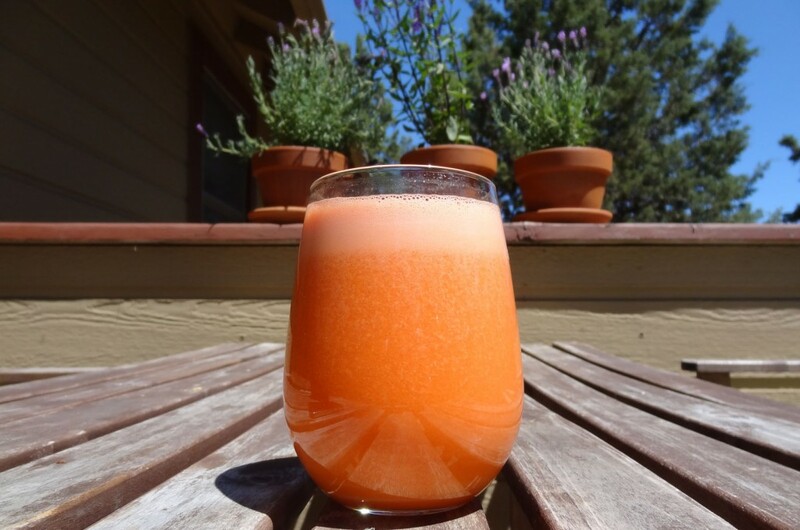 Us yogis and foodies are always blabbing about the benefits of green juice and green smoothies, but what about purple juice, orange juice, or pink juice? I made a pretty rockin’ orange juice today….with no actual oranges in it. A little tart, a little sweet, a little bitter, and a little spicy. 1. Rinse and prepare your fruits and vegetables and then juice the hell out of them. I double processed mine to get a little extra juicy goodness….and I like the pulp.